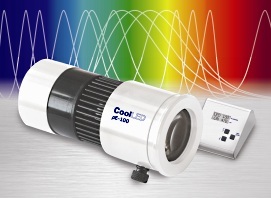 The pE-100 is a dedicated single-wavelength LED illuminator designed for use in fluorescence applications that has many advantages over conventional mercury lamps. 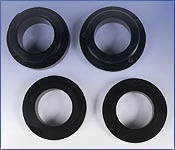 There is an extensive range of wavelengths that can be selected, as well as a white option for general illumination that can be fitted to the transmitted port of a microscope. The pE-100 fits most current microscopes, with specified fittings. Contact us to see what is available for your microscope. The pE-100 has many advantages over mercury lamps: more efficient, instant on and off, very long life, less waste heat, no mercury, easy disposal, quiet operation, no warm up or cool down period, energy saving, lower cost over the lifetime of the microscope. There are many applications for the pE-100 wherever fluorescence microscopy is used, such as in Pathology, Histopathology, Microbiology, Immunology, Cytology, Histology, Virology, Molecular Biology and Haematology laboratories. When using popular fluorescent stains (fluorophores) such as Auramine, Acridine Orange, Calcofluor White, Fluorescein Isothiocyanate (FITC) and GFP, in most cases, a single LED wavelength is all that is required for illumination for your tests. 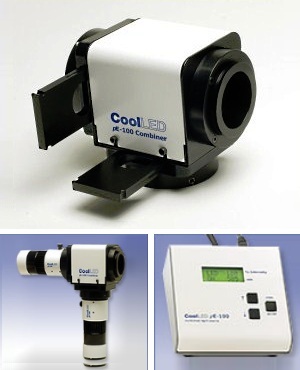 The CoolLED pE-100 can provide LED excitation matched to your fluorescent stains and microscope filter set(s). Each unit consists of an LED light head with a specified microscope fitting, a control pod with BNC input for TTL trigger, and a universal power supply. 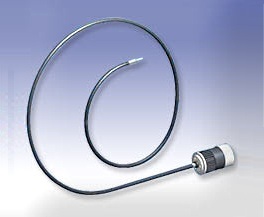 Includes pE-100 head, control pod, power supply, 1m long 3mm diameter liquid light-guide and power cable.